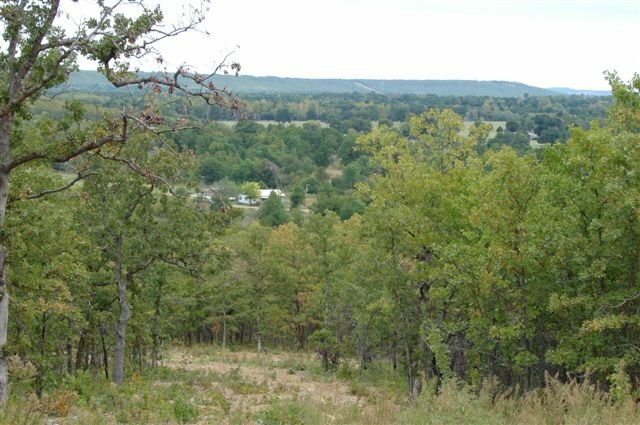 20-acre lots located in the beautiful rolling hills of McIntosh County, Oklahoma. The lots are located approximately 60 miles east of Tulsa, near Lake Eufaula. The lots are mostly wooded. Each lot has been surveyed and the map recorded with the county. Price/Terms: Each 20-acre lot is priced at $39,995 with $495 down and $395 per month (amortized over 186 months, including 9% interest, and no prepayment penalties). Seller financing is guaranteed for everyone and there are no credit checks. Directions: From Henryetta, OK south on Indian Nation Turnpike to Toll Booth at Hwy 9 (Exit 92); then approximately 3 miles east on Hwy 9 to Hwy 52; then south on Hwy 52 to small town of Hanna; then approximately 2.5 miles west (or right) on Country Side Road (also known as E125) to Road N398; then turn left (or south) approximately 2 miles to Road E127; then turn right (or west) approximately ¼ mile to entrance of properties. Improvements: No utilities, water, power, sewage, or any other homeowner services have been developed. The electric company that services the area is Canadian Valley Power (405-382-3680). The McIntosh County Clerk (918-689-2611) might have additional information regarding availability of utilities in the area. Mineral Rights: As in most petroleum producing states, the mineral rights have been owned by exploration companies for many years. However, if wells are ever drilled the landowner would receive compensation. Cattle Grazing: Other people might currently be grazing cattle on some of the 20-acre lots, but a new owner can terminate the grazing by simply fencing off the lot. Protective Covenants: In order to protect the future value and beauty of the lots, some very basic restrictions have been recorded. The permanent use of motor homes, travel trailers, converted buses, tents, or dilapidated buildings are prohibited. Furthermore, certain activities such as pig farms, commercial poultry operations, outdoor toilet facilities, industrial enterprises, and the accumulation of trash, garbage, junk and/or debris are prohibited. Standard homes, modular homes and mobile homes that comply with any applicable state or country building, health or safety codes are obviously allowable. Property Taxes: Annual property taxes on a 20-acre lot are about $45.